After leaving Big Bend it was time to hike in Guadalupe Mountains National Park for a couple of days. 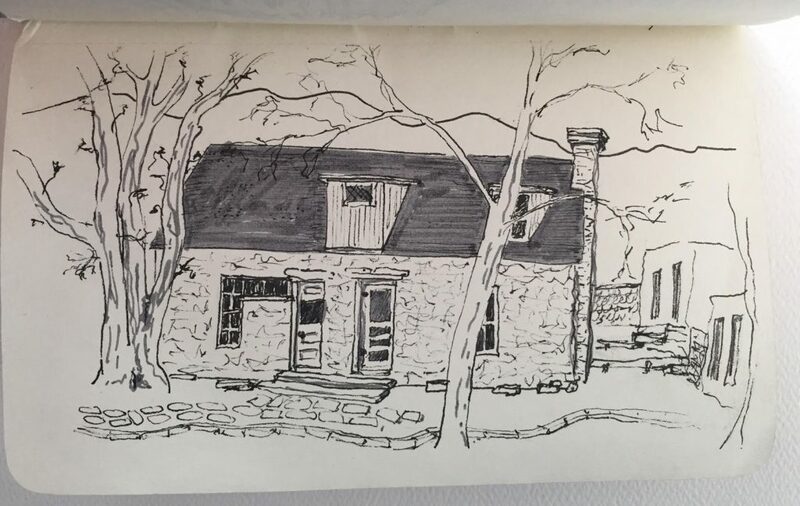 It was evening by the time the RV was settled, so I only had time for a quick hike to a nearby spring and a bit of time to sketch out the Frijole Ranch house. Of course, the first order of business the next morning was to hike up to Guadalupe Peak – not only the highest point in the park at 8751 feet, but also in all of Texas! 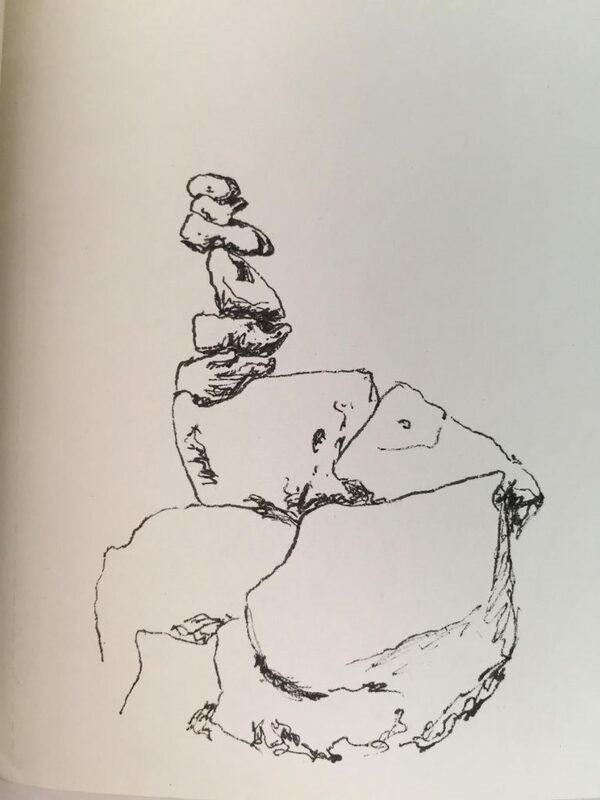 During a quick break I started sketching the true trail markers, rock cairnes. I need to add some background (a trail and second cairne) for context, but this is a good start. 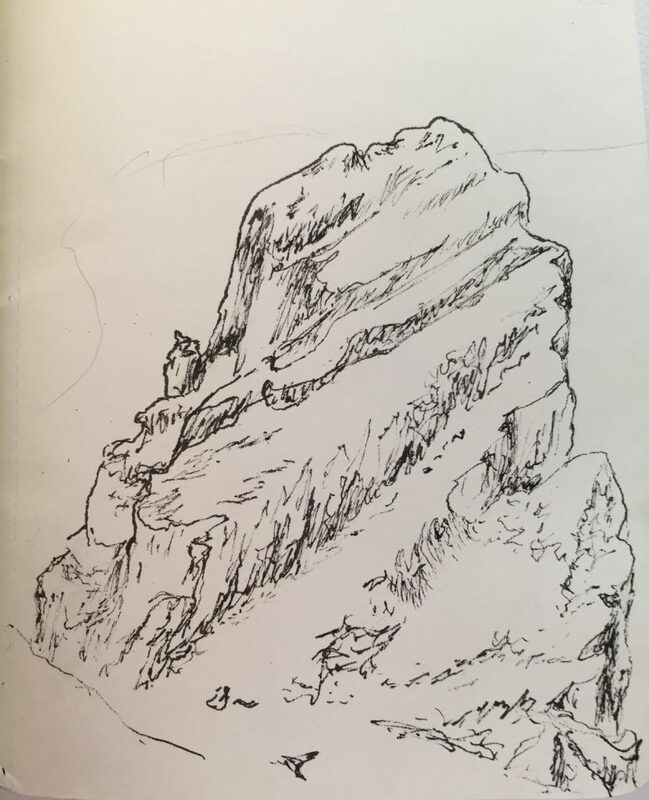 Up on the peak, after eating lunch I pulled my sketchbook back out to capture the back side of the most famous landmark in the area, El Capitan. The pencil line in the background is the road circling off in the distance. I couldn’t quite decide what to do in the distance and will probably just end up erasing the pencil lines and letting the monolith stand on its own. Additionally, it was pretty hot and there was no shade or breeze for relief, so a quick sketch definitely won out over a watercolor option.